The proposed $3 billion resort and casino megacity mooted for the Gold Coast will provide a jobs and property bonanza, with predications that up to 9,000 stalled apartments could be developed on the glitter strip if the project goes ahead. Oliver Hume Queensland Managing Director Brinton Keath said the development would create a broad-based construction and jobs jackpot by extending the current Commonwealth Games employment boom well into the future. “The current Gold Coast off-the-plan quarterly sales rate of 300 apartments could in the next two years double to regularly achieve more than 500 sales per quarter,” he said. Higher levels of employment during and after construction of the project, combined with a flood of new tourists could carry the Gold Coast economy for at least a decade,” Mr Keath said“If the development is given the final go-ahead it has the potential to underpin the entire local economy which would see the Coast in for strong medium-to-long-term stability post the 2018 Commonwealth Games. Instead of workers leaving Queensland, this project will provide the incentive for them to stay,” he said. 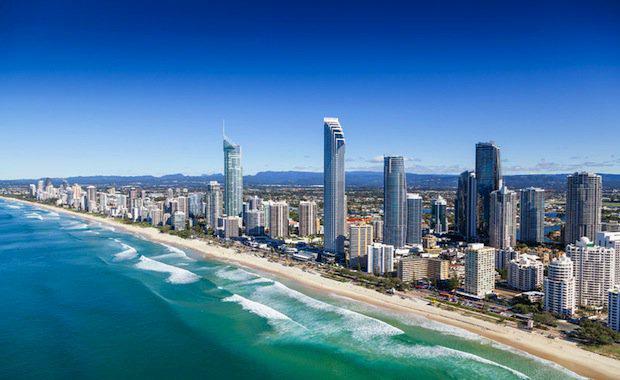 “If approved, the development has the potential to push local Gold Coast unemployment further below its existing record lows of 5.8 per cent down to unprecedented levels of 3 to 4 per cent,” Mr Keath said. The project will be situated between Palazzo Versace and Sea World resort and includes a bridge that would link The Spit to Southport to ease traffic congestion. James Packer’s Crown Resorts will operate the casino and Chinese-owned ASF Consortium will build the residential and office space.